Nokia has finally announced its own version of a netbook by bringing out the new Booklet 3G. The new device is packing an Intel Atom processor underneath a 10-inch screen, with a 12 hour battery life to boot. There's the normal range of connectivity you'd expect from a Nokia product, so super-fast HSDPA 3G is in there, as well as Wi-Fi and Bluetooth. A video of the Booklet 3G in action also shows it running Windows 7 Starter Edition, so at least the Finns are pushing at the sharp end of the OS game. Assisted GPS is included under the bonnet, meaning the Ovi Maps gadget (included as part of a range from the Ovi Suite in the Nokia Booklet 3G) can "open up access for a truly personal maps experience". The screen is HD-ready and backed up by an HDMI port to send your content to a TV, and you can port the device around pretty easily as it only weighs 1.25kg and comes in at under 2cm thin. 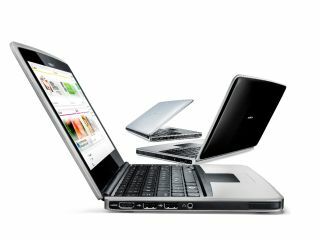 "A growing number of people want the computing power of a PC with the full benefits of mobility," said Kai Oistamo, Nokia's Executive Vice President for Devices. "We are in the business of connecting people and the Nokia Booklet 3G is a natural evolution for us. Nokia has a long and rich heritage in mobility and with the outstanding battery life, premium design and all day, always on connectivity, we will create something quite compelling." It might not be the most overwhelming new launch in the world, but it offers some OK-ish features, and we're intrigued by Nokia's statement: "The Nokia Booklet 3G will widen the Nokia portfolio, satisfying a need in the operator channel, and bringing another important ingredient in the move towards becoming a mobile solutions company." Sadly Nokia has decided to keep quiet about the price and availability, but never fear, all will be announced at Nokia World next month, when TechRadar will be in full attendance.